Gippsland Lakes Community Health (GLCH) recently held its 43rd Annual General Meeting at the Bairnsdale Sporting and Convention Centre in Lucknow. It was a great celebration of the organisation’s achievements during the past 12 months, which included recognition for more than 30 staff members who have been with GLCH for 10, 15, 20 and even 25 years! GLCH is one of the largest local employers in the East Gippsland region, with more than 400 employees engaged across its five locations in Lakes Entrance, Bairnsdale, Bruthen, Nowa Nowa and Metung. And as a National Disability Insurance Scheme (NDIS) provider, GLCH is set to release new employment opportunities, to coincide with the rollout of NDIS on 1 January 2019. The impressive efforts of GLCH’s Health Promotion team were also acknowledged at the AGM; including their recent win against St Vincent’s Hospital, Melbourne Health and The Royal Children’s Hospital, for the “East – Love Where You Live” project, which received a Victorian Public Healthcare Award; and the “Healthy Eating for Life-Changing School Culture” project, which is a finalist in the Gippsland Primary Health Network Awards. The highlight for many, however, was the guest speaker, Fiona Butlin, who generously shared her personal experience as a transgender person. Lesbian, gay, bisexual, transgender and intersex (LGBTI) people are an estimated 11 percent of the population, but experience disproportionately lower health outcomes, directly related to experiences of stigma, prejudice, discrimination, and abuse in their everyday lives, for being LGBTI. GLCH wants this to stop, and are making positive changes within the organisation to become even more inclusive to LGBTI people; this includes its current journey towards achieving Rainbow Tick accreditation, which is a commitment to seeking feedback around what is being done right, what is being done wrong, and to educating the board, managers, and staff about the findings. The AGM’s guest speaker Fiona is a member of the Gippsland LGBTI Network and the Central Gippsland Health Service Diversity Committee. Fiona is committed to supporting and encouraging change and more inclusivity, particularly among the health services in Gippsland, and she is currently completing a Certificate in Community Services, which will help her to continue her important work in this area. Fiona’s generous sharing of her own experiences helped the audience better understand the personal impact of discrimination, and the importance for people, particularly in service and frontline roles, to be mindful of how they welcome and treat transgender clients, to ensure their experiences with service-based organisations are positive. 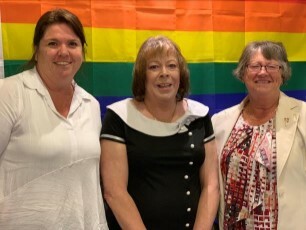 To learn more about GLCH and its achievements, employment opportunities or support of the LGBTI community follow Gippsland Lakes Community Health on Facebook. Bairnsdale is set to turn orange from 10.30am on 28 November, when the “Walk to Change the Story” is held, to highlight the need to end violence against women and children. 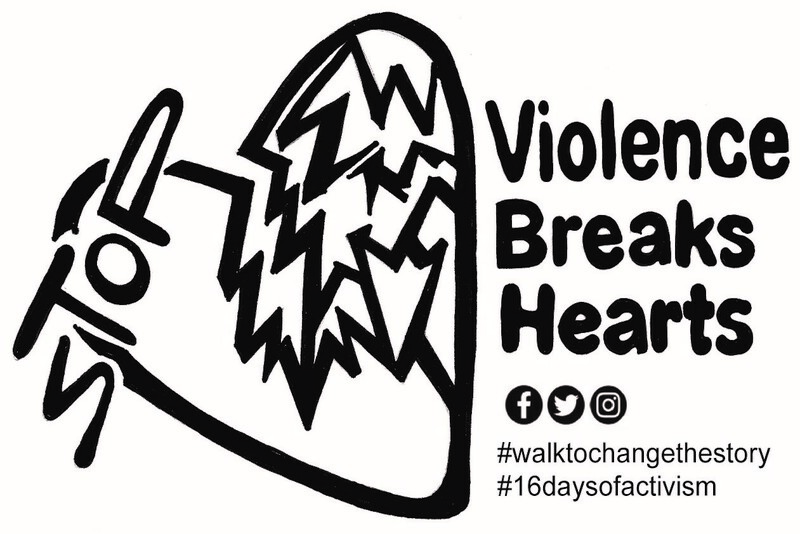 “Walk to Change the Story” is an initiative of Gippsland Lakes Community Health (GLCH) who, at the start of this year, invited other local organisations to help raise awareness about the alarming prevalence of violence against women and children in our community, and to highlight the local support services available for those impacted. As a participant in the Respectful Relationships school’s program, Toorloo Arm Primary has spent much of this year exploring the impact of violence and the ways it can be prevented. The process saw students express their feelings through the creation of artwork, and many of the designs they came up with have been used to help promote the Walk, including the Walk’s official logo. It is hoped the Walk will inspire other schools to encourage students to explore and express how violence affects them, and how it can be prevented in the future. GLCH is inviting educational institutions, community groups, organisations, businesses, and community members to participate in the Walk and activities. Everyone is encouraged to wear orange, with free t-shirts available from GLCH in Bairnsdale on Walk day (while stocks last). 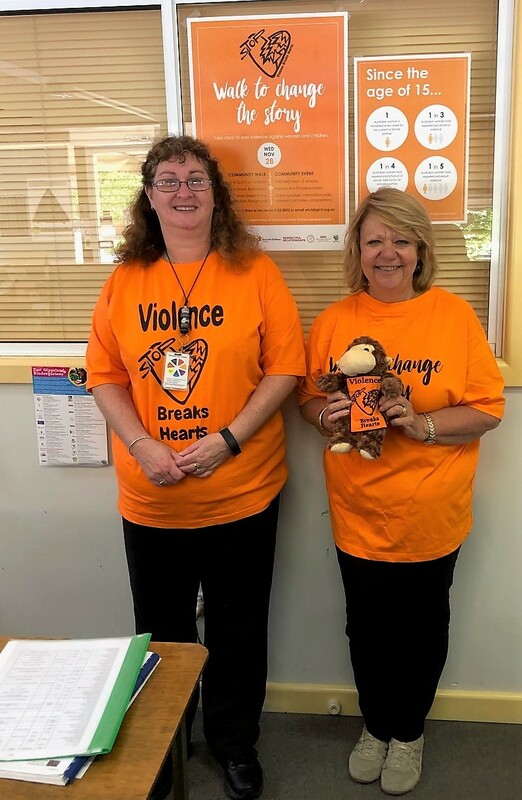 “We appreciate the local businesses who are supporting the event by displaying posters and other resources, wearing orange on the day, and by sending staff to walk,” says Ms Medson. Walk to Change the Story is led by Gippsland Lakes Community Health (GLCH) and is supported by Uniting, Gippsland Centre Against Sexual Assault, Gippsland & East Gippsland Aboriginal Co-Operative Ltd (GEGAC), Save the Children, Respectful Relationships, Yoowinna Wurnalung Healing Service (YWHS), Bairnsdale Regional Health Services, East Gippsland Shire Council, and Victoria Police. More details, including updates, can be found on the “Walk to Change the Story” page on Facebook.